Our group is interested in the proteins of the molecular stress response, the molecular chaperones. These proteins are characterised by their stress-protective function. They also have functions under normal growth conditions. 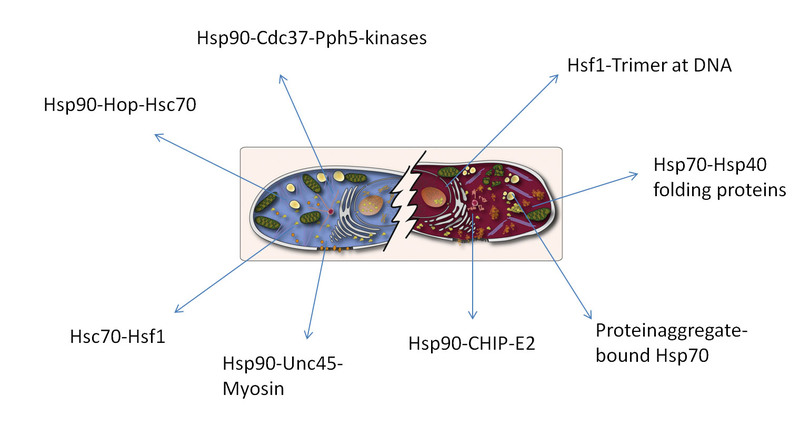 Using the model organism Caenorhabditis elegans we investigate the participation of Hsp90 and its cofactors during development and attempt to uncover the biochemical mechanisms.